2014 was a pretty fantastic year filled with several personal accomplishments. Most notably obtaining my VCDX-DV at PEX 2014, authoring the VMware vSphere 5.x Datacenter Design Cookbook published in February 2014, and being selected as the ABS Technology Architects Employee of the Year for 2014. It has been a busy year – I have learned a tremendous amount and I have had some great opportunities to work on some interesting projects with some awesome people. I look forward to what 2015 has in store. I have neglected to post much on vHersey.com the last couple months. Mostly due to how busy I have been with work. When I have not been working I have been trying to devote more time to just relaxing and spending time with my family. Not trying to make excuses, it is what it is and I hope to do better in 2015. Increase my participation in the virtualization community. I hope to get to join more of the vBrownBags and possibly get into presenting again, I really enjoy them and they have been an excellent resource specifically for exam preparation. As part of participating in the community I also hope to continue to help grow the Hampton Roads VMUG. We met several times in 2014 and had some great participation from the local IT community, I hope it will continue to grow in 2015. Obtaining the CCNA Datacenter and possibly the CCNP Datacenter are both on my list for 2015. If anyone has any good study resources for this please feel free to add them to the comments. Continue to work on processes to help grow the data center practice at ABS. We did some really awesome stuff in 2014 and I am looking forward to where things will go in 2015.
vCoffee Links is a regular feature on vHersey.com. 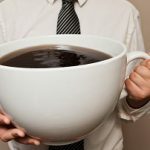 vCoffee Links features news and links of interest from the past week or so. If you have something interesting to add please submit it in the comments or hit me up on Twitter @herseyc. Ok so this is pretty awesome – How to make your computer speak with PowerShell. Thanks to @kfalconspb for sharing. The VCP6-DT Certification Exam is fairly new and there are not a great deal of study resources available for it. I am going to try to build a study guide while I am preparing but my timeline is fairly short since I hope to sit the exam at PEX 2015. 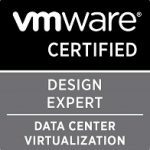 Here is the starting point – the VMware.com Certification – VMware Certified Professional 6 – Desktop. Overview of the certification and, more importantly, a link to the Exam Blueprint. VCIX – NV Resources, Tips and Exam Experience by @Mandivs. Nice collection of resources and some tips for folks looking to sitting the NV exams. I have posted this one before andsince NSX is on my list of things to do in 2015 here it is again NSX Link-O-Rama by @vcdx133 is just what is says it is a Link-O-Rama to all things NSX. Will definitely be spending some quality time with the resources on this page. Cloning VMs – Why less (I/O & throughput) is better! by @josh_odgers Great read! VCDX Recipe for Success by @vcdx133. @vcdx133 has put together a great index of his VCDX article series and includes some great tips (Recipe for Success) for successfully preparing for and defending VCDX. This is a must read for anyone interested in working toward VCDX! Great work!!! ESXi 5.5 – ESXCLI Command Reference could come in handy. I really like the ESXi 5.5 – ESXCLI Command Mindmap. Good stuff @virten. @ericsiebert released his updated list of the Top 100 VMware/virtualization people you MUST follow on Twitter. Some really awesome and smart people on that list so check it out. 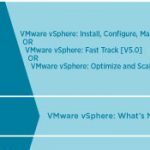 I was asked to do a book review of VMware Horizon View Essentials a couple weeks ago. Going to get started on it this weekend. Look for a full review in a week or so. Whitepapers, case studies, and other resources on the VMware and NVIDIA GRID product page. View Accelerated – 3D Graphics with Horizon View 5.2. There were also a ton of other helpful tips on this blog. Remember SSO user (@SYSTEM-DOMAIN or @vsphere.local) passwords expire. This VMware KB was a life saver earlier this week – Resetting an expired password in vCenter Single Sign-On (SSO). I recently passed the Cisco DCUCI and Cisco DCUCT exams. The Pluralsight courses Implementing Cisco UCS: Installing and Configuring and Implementing Cisco UCS: Managing and Troubleshooting by @TheJasonNash were both extremely valuable resources I used while preparing for the exams. That is it for now. Enjoy your coffee and HAPPY NEW YEAR!!! 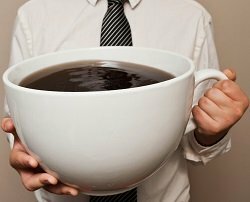 vCoffee Links #13 – Lots of good vStuff!! !